This time, Booming Games managed to outdo themselves. In the slot you will see the sea inhabitants. This slot with different marine inhabitants on the drums will make you feel like a real explorer. 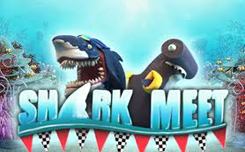 Shark meet – a game on the underwater theme, the slot has a structure of 4 * 4, lines for forming combinations here 16. On the drums Shark Meet you are waiting for fish-needles, jellyfish, gold and silver starfish and goblets. Wild – serves for substitution of simple symbols, for drawing up of winning combinations. This game uses the payout function in both directions, throughout the game, as well as multipliers. Also in the slot there is a scatter symbol. 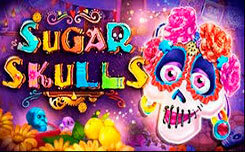 Catching 3 or more of these icons, you activate ten free spins.